An artist's conception shows an anithydrogen atom being released from the trap after 1,000 seconds. The squiggly line represents the atom's path in the trap while it is trapped. 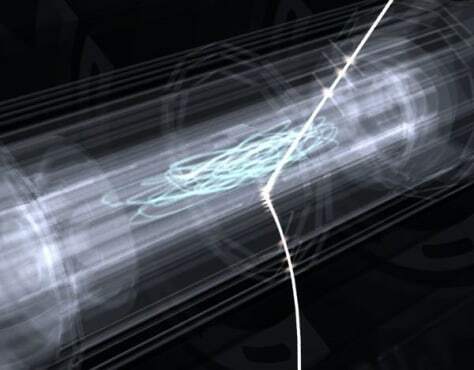 The curved tracks that emerge from the trap represent the annihilation products (pions) resulting when the released anti-atom hits the trap's inner wall.